APP01: BG solutions cover many technologies and approaches. A well designed multi-application can result in increased combined benefits, or symbiosis. What's Best Practice for generating a high performing symbiotic solution? The first requirement is to understand the component parts. One key component part is Sustainable Urban Drainage Systems (SuDS) [IND02] - also see movie. It is extremely important to think about how the systems should be connected for maximum efficiency, e.g. 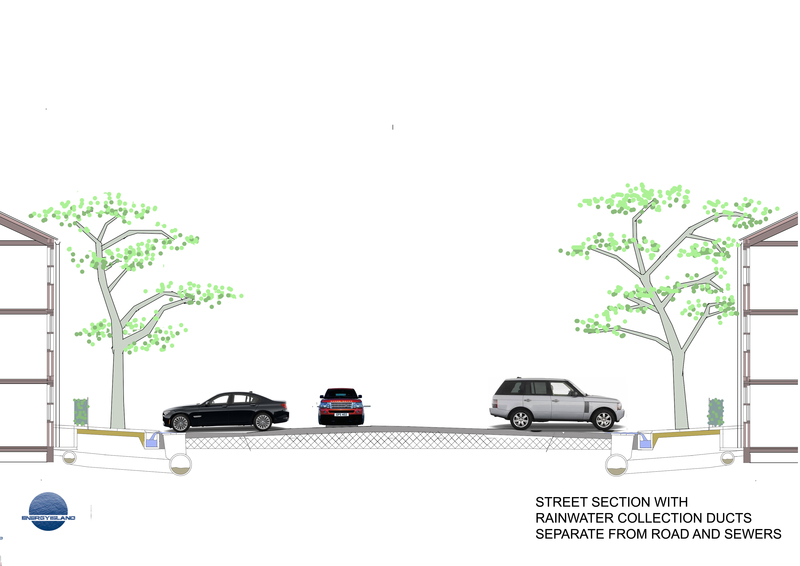 for street sides rainwater connection (image link 1, image link 2). Many of these and other sub-components of a BG solution can be integrated into an urban landscape [GRO04]. Many also not only act as drainage systems but impact other areas such as water quality and microclimate. 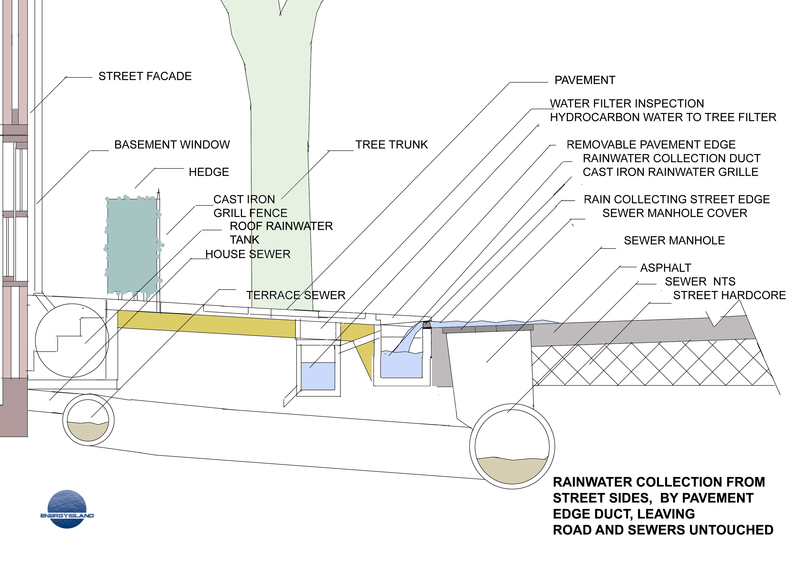 In the US, evidence based of successful BG applications is growing fast such as in Portland [CAS03] where stormwater management guides have been published for some time [GAI02] with case studies made available to show their successes [CAS04]. Best Practice is demonstrated by the successful application of BG technologies for CSO control in Philadelphia. This world leading application has demonstrated what can be done, the history and the future direction for Blue-Greening and was presented in a House of Lords committee meeting in December 2012 [CAS05]. Blue Green Cities generate a multitude of environmental, ecological, socio-cultural and economic benefits through integrated planning and management and may be key to future resilience and sustainability of urban environments and processes. We need to look to approaches adopted elsewhere, e.g. Australia and US, for guidance on Best Practice.